This year we started offering summer research experiences for undergraduate students. 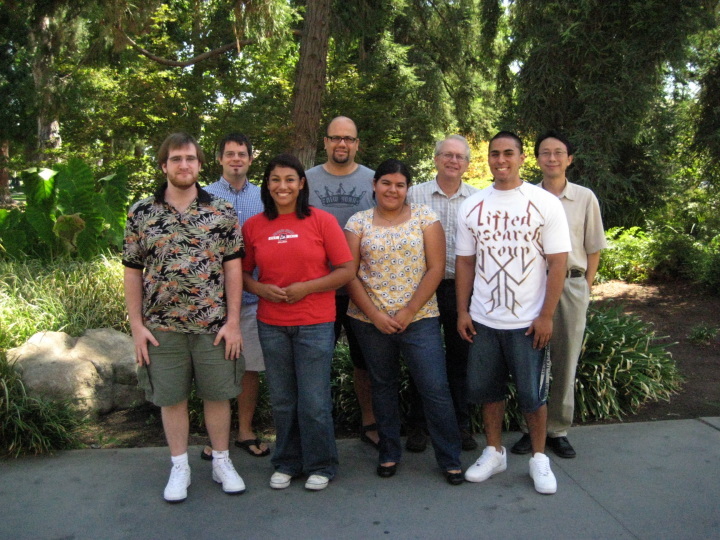 Dr. Cusick, Dr. Forgacs, Dr. Vega and Dr. Wu each supervised a summer research project, with topics ranging from knot theory, and graph theory to applied statistics and game theory. The department is planning on offering such research experiences again next summer. At the beginning of the semester, the participating students and their professors went to a lunch at the Vintage Room. Complementing the summer research activities we offer the Math 198 - senior project in mathematics. Taking this course affords students with a chance to do research for credit during the academic year. Some of our faculty is in the process of securing funding for students wanting to stay engaged in research during the year. This funding would give about a $3000 stipend for the student for the academic year, and would require the recipient to present the results of the research at the end of the academic year. We also have a Mathematics Club in the department. This is another venue where interested students can get together with faculty to discuss interesting math problems.